We'd love to welcome you to the team. Find out how you can help families struggling to get by to create a future of hope and happiness. 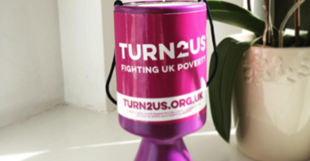 Turn2us wants to stop people being swept into poverty and offer a lifeline to anyone already struggling to cope. Your support will help us provide financial support to enable people to get back on track after a financial crisis. Search for sporting challenges, get help with your own fundraising events or volunteer your time.